Anton has worked in financial services for in excess of 25 years having completed business studies at RMIT. 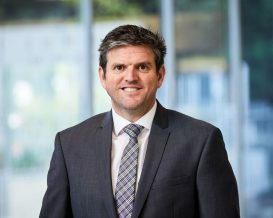 Commencing within the automotive industry, Anton worked with Mercedes-Benz in Toorak for 6 years where he won the Mercedes-Benz Finance Manager of The Year. He then worked with BMW Melbourne for 2 years before commencing his career as an independent finance broker; establishing Finance Victoria Pty Ltd in 2006. Anton has created a loyal and ever expanding client base built on service and expertise. From cars, trucks, excavators, tractors and business assets, Anton is able to assist with supporting and growing his customers’ businesses. Through taking the time to understand his clients’ individual requirements, Anton is keen to utilise his skills and financier relationships to achieve the best outcomes. Anton prides himself on making the whole finance process effective and efficient.